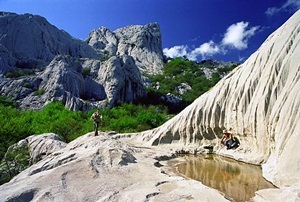 Only 45 kilometres from Zadar and Karlobag, there is National Park Paklenica. Although it is one of the smaller national parks, it offers a variety of features and services on a small area. If you wish to experience all the beauty of its flora and fauna, you may do that by taking a hike or riding a bike down 200 kilometres of marked trails. Paklenica offers 360 climbing spots for the adventurous people. The must-see attractions are Paklenicki Mlin, cave Manita Pec, educational centre Mala Paklenica and the ethno-house Marasovic. You can seek refreshment in Lugarnica, the forester's house on 400 metres altitude on the main trail of Velika Paklenica. For a complete experience, you should stay at the camp National Park with pebble beach. It has become a popular destination of both adventurers and families with children. On Dugi Otok, near the islands Rava and Iz, not far form the island Pasman, lies the cove Telascica. Nature Park Telascica is named after it. 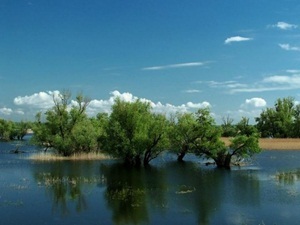 One of the unique features of Nature Park Telascica is Lake Mir with the salinity higher that that of the sea. Another interesting phenomenon is Stene, the steepest cliff face on the Adriatic Sea. While in Telascica, you should visit one of its numerous beaches, walk or ride a bike down the specialized trails, enjoying variety and uniqueness of the plant and animal world. Also, very popular are trekking, photo-hunting and the unusual autonomous diving – activities that can not be found in any other nature park in Croatia. Accommodation and refreshment are available in one of the private stone houses or one of the apartments in the nearby place Sali. The most visited National Park in Croatia is Plitvice Lakes. Its suitable geographic position enables you to come to Plitvice from Zagreb or Rijeka in an hour. While walking along one of the specialized trails in Plitvicka Plitvice Lakes, you will enjoy the beauty of its 16 lakes with travertine waterfalls. Because of them, it was included in the UNESCO List of the World Heritage. You should explore its beauties in an unconventional way – by taking a ride on the electric boat or a scenic train. Lovers of active holidays should definitely take up mountain climbing in summer and skiing in winter. All the visitors will enjoy the local Plitvice specialties in restaurants Licka kuca, Borja and Poljana. The accommodation is available in the nearby places just a few kilometres from the National Park Plitvice Lakes. 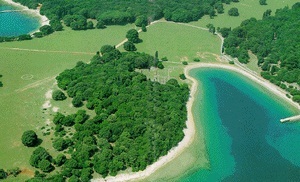 If you ever visit Pula, Porec, Rovinj or any other part of Istria, you must visit National Park Brijuni on the way. Because of its beauty, Brijuni used to be the favourite destination of the ex-Yugoslavia president Josip Broz Tito. At that time the safari park was grounded, so you can go for a scenic train ride across Brijuni. In the last couple of years it has become an interesting destination for sailors, who find accommodation in the bay Uvala Sv. Nikola and enjoy the entertaining activities organized by Concierge Service Staff in the National Park. Those who reach the island using public transportation will also love the sports-recreational activities offered, with golf and tennis being the most popular sports among all. You can find accommodation on Brijuni in one of the villas or hotels, or rent an apartment in the nearby Pula. Nature Park Kopacki Rit, the largest ornithological park of Europe, lies between Drava and Dunav nearby Osijek and Baranya. The sightseeing in Kopacki Rit is possible by boats or on the ground, and includes the visit to the zoo-reserve and the castle Tikves. The second favourite reason for visiting it is the possibility of recreational fishing. A unique feature of Kopacki Rit is the possibility of a bird adoption. The bird is then marked by a number and your name, and you are informed whenever someone spots it in any part of the world. In one of the restaurants in the nearby places, such as ethno-village Karanac, Beli Manastir, Bilje, Draz, Knezevi Vinogradi and Osijek, you can enjoy the traditional Slavonian cuisine. Private accommodation is available in one of the numerous country farms or private apartments in the nearby places around Kopacki Rit or in the city of Osijek. While visiting the island of Losinj, you should by all means visit Losinj Waters Centre in Veli Losinj. The organization Blue World, whose goal is the protection and research of sea species, has founded the “Adriatic Dolphin Project” out of which the Losinj Dolphin Reserve and the Sea Education Centre have emerged. Entrance fee for the ‘blue world’ is 15 kunas only, and you will be entertained watching the playful dolphins in their natural habitat of the crystal clear sea. 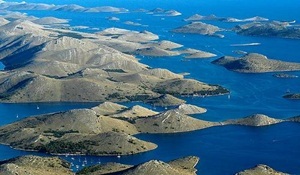 In the Centre you will learn some facts about the Adriatic Sea. Also you can make your family happy by adopting a dolphin. 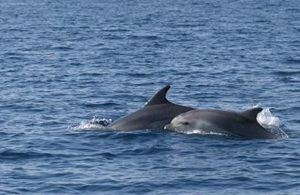 If you are in Losinj on the first Saturday of August you can take part in the Dolphin Day. Apart from enjoying its gastronomy, the hosts’ friendliness or private accommodation luxuries, you can have fun taking part in one of the specialized daily animation programmes. Punat lies only 8 kilometres from the town Krk. Except for the fact that it is the best equipped tourist harbour of the east Adriatic, it also hides a pearl called the island Kosljun. This little island lies 750 metres from Punat. You can see the whole island on a 2-hour walking tour and enjoy the rich cultural-historical heritage of the Franciscan monastery, a museum, a zoological collection and a library. As there are no catering facilities on Kosljun, you should seek for refreshment in the nearby Punat, Baska or the town Krk. You should by all means visit Rudine to take a tour through the 110-meter-long cave Biserujka, whose beauty and shapes will leave you breathless. Cave Biserujka is lit and equipped by safe paths, so it will be an opportunity for the whole family to experience the beauty of this natural phenomenon for the very reasonable price of 15 kunas per person. Accommodation in apartments or rooms can be found in Silo, Klimno, Malinska, Njivice, Krk, Baska, or Punat. One of the most mystique natural phenomena in Croatia is Lake Vransko Jezero on the island of Cres. Its mystery is in the unexplained fact that sweet and salt water do not mix in this fresh water lake, whose bottom is under the sea level. 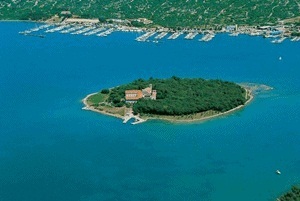 The lake lies in the centre of the island Cres and one must not confuse it for Vransko lake near Biograd and Sibenik. While visiting Vransko jezero on Cres you will enjoy the beauties of the rich Mediterranean vegetation and the numerous birds’ chirping, for this lake is an ornithological reserve too. If you like legends and stories, you will be thrilled by the story of an enchanted castle that lies on the bottom of this 76-metre deep lake. 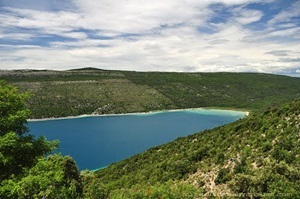 Many other legends about Lake Vransko Jezero can be heard while visiting one of the restaurants or staying in apartments in the nearby town Cres. Between Skradin and Sibenik lies National Park Krka. National Park Krka is open for visitors throughout the year, offering a lot of features. The beauties of National Park Krka can be seen by walking along the specialized tracks, riding a bike on the 3 kilometre long bike trail that extends from Skradin Bridge to Skradin Buk, or by organised boat tours. The most known parts of National park Krka are the waterfalls Skradinski Buk and Roski Slap. Also, you can experience bits of old customs witnessing an ethno-presentation on watermills from the 19th century, or buy a souvenir in a souvenir shop and seek refreshment in one of the catering facilities in the very Park. In National Park Krka there are no accommodation facilities and camping is forbidden, therefore one can find some private apartments in Sibenik and Skradin nearby. The island Pag, the fifth biggest island in Croatia, was famous for its natural wealth in history, and it was fought over by Rab and Zadar. Although the island does not have the classic Mediterranean looks with rich vegetation and it is mostly made of rocks and karst, the aromatic plants flourish there. They serve as food for the Pag sheep whose milk is used to produce the world famous Pag cheese. This sort of feeding is good for lamb too, so the Pag lamb is one of the world famous delicacies due to its high meat quality. Besides enjoying the delicacies on Pag, you can also enjoy mountain climbing, diving or biking on 115 km of the specialized trails, or simply take a sightseeing tour of the cultural heritage of the Helen’s Age. You can also have late night parties in ‘Croatian Ibiza’ – sandy beach Zrce.